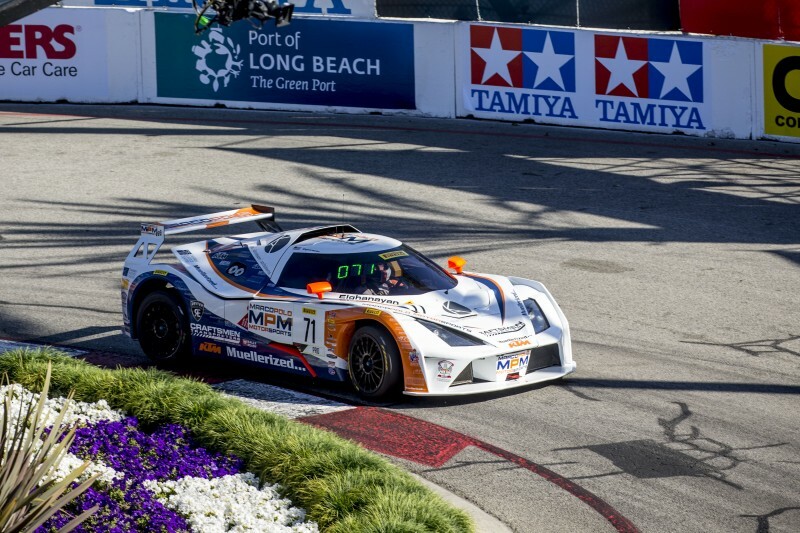 #71 KTM X-bow of Nicolai Elghanayan, Streets of Long Beach, Long Beach, CA. 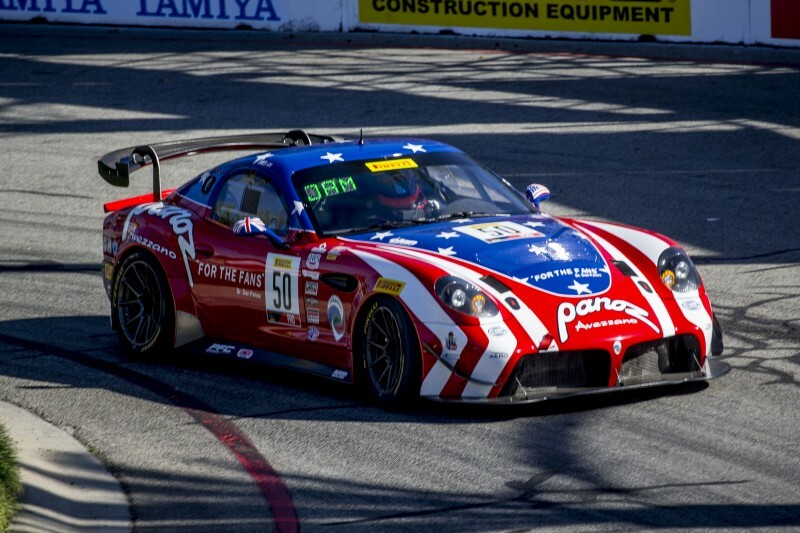 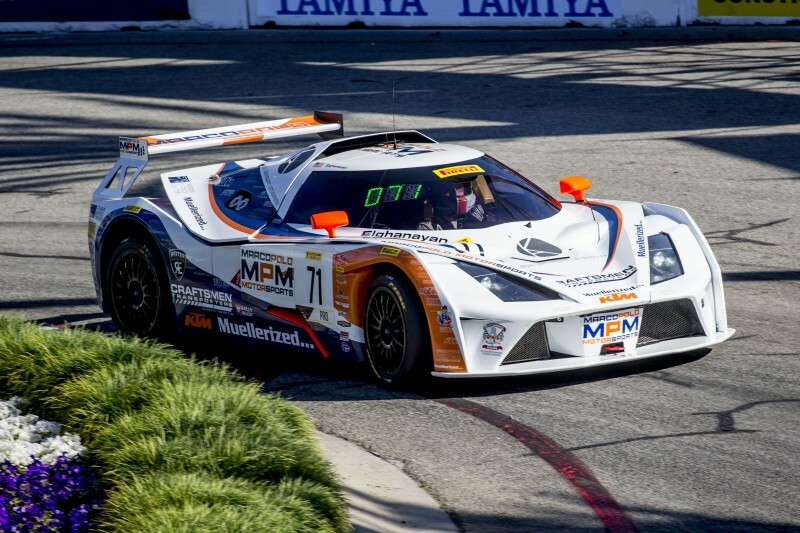 #50 Panoz Avezzano GT4 of Ian James, Streets of Long Beach, Long Beach, CA. 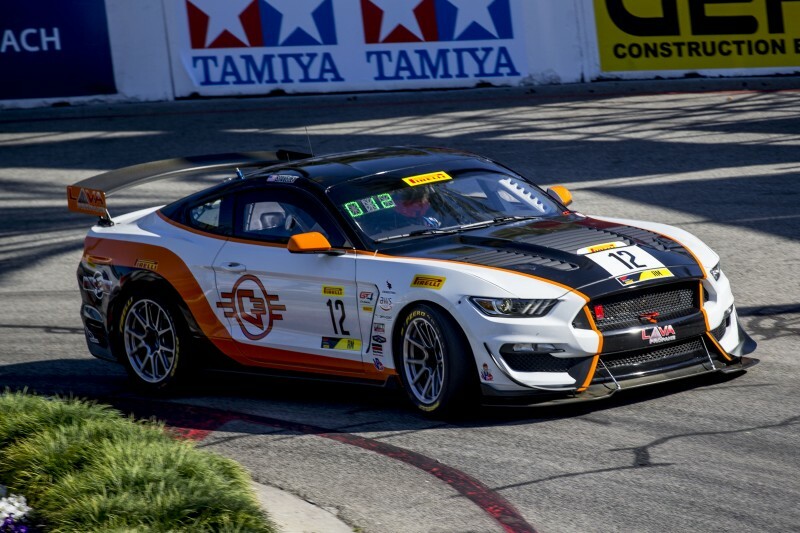 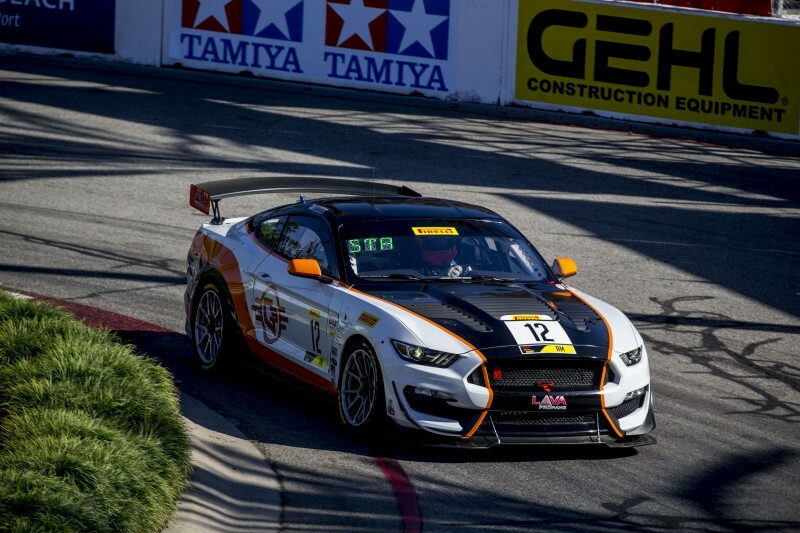 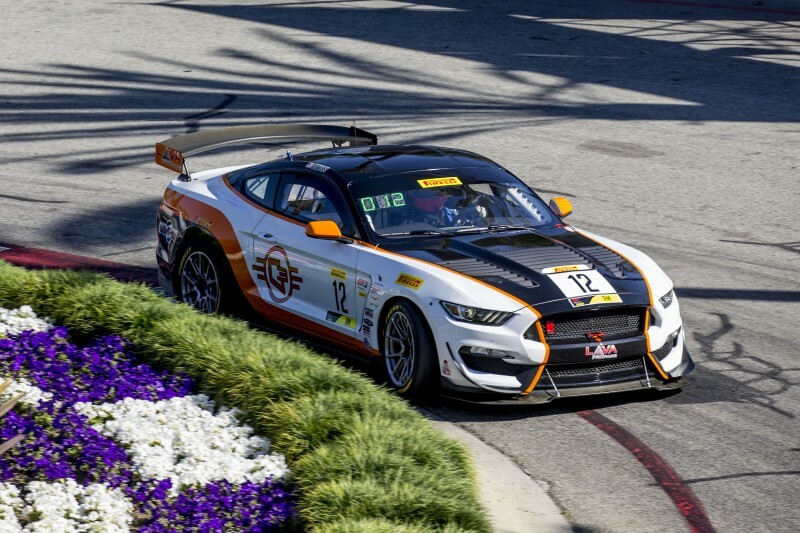 #12 Ford Mustang GT4 of Drew Stavely, Streets of Long Beach, Long Beach, CA. 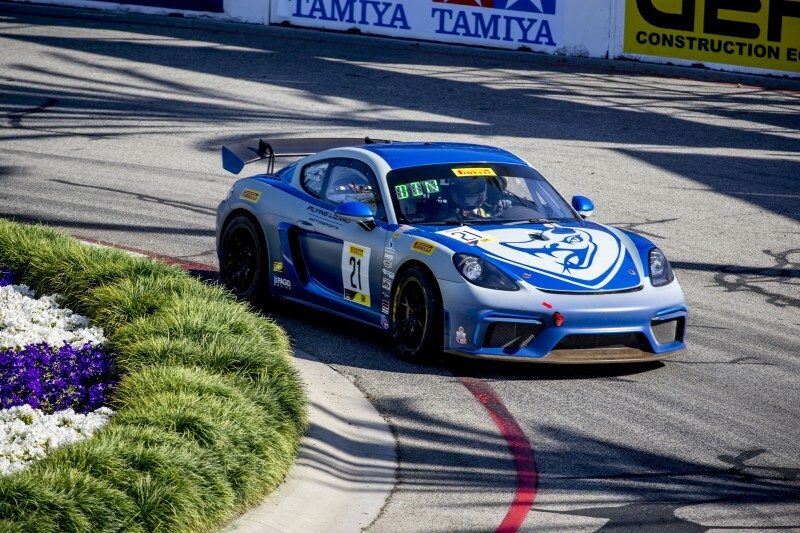 #7 Porsche 718 Cayman GT4 CS MR of Alan Brynjolfsson, Streets of Long Beach, Long Beach, CA. 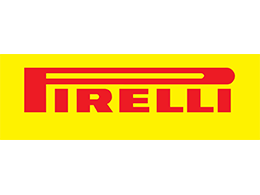 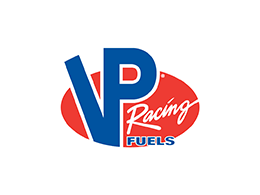 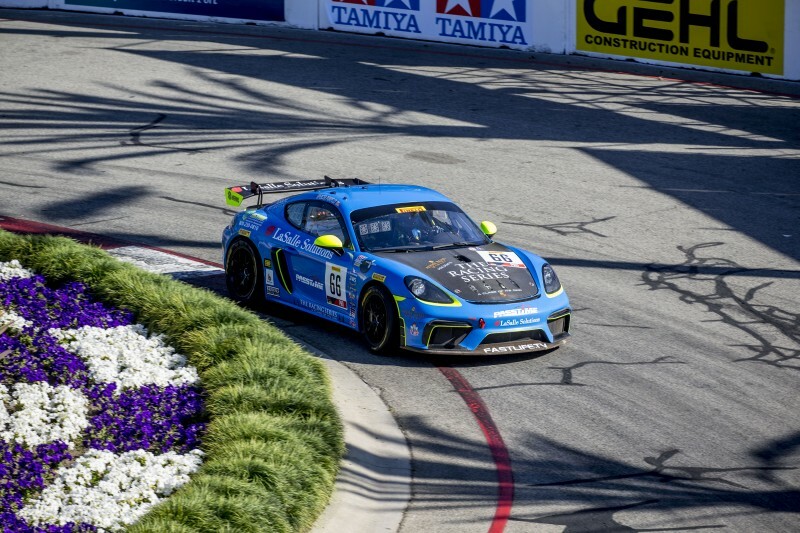 #66 Porsche 718 Cayman CS MR of Spencer Pumpelly, Streets of Long Beach, Long Beach, CA. 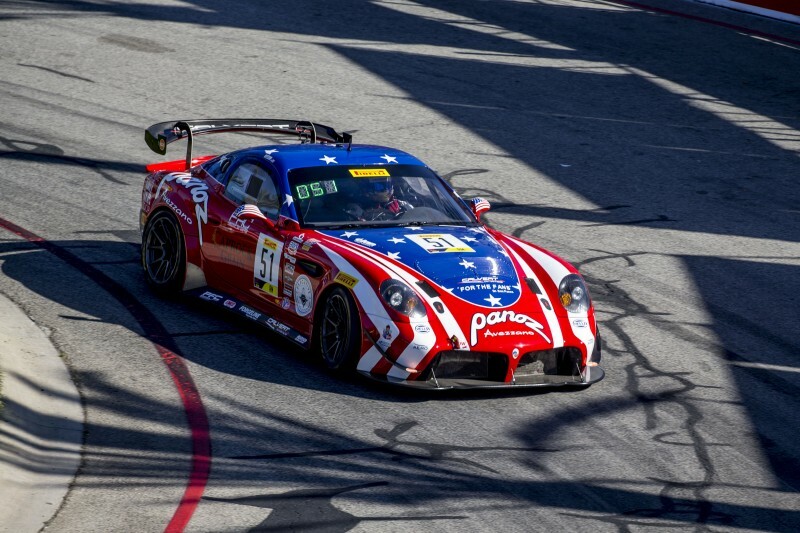 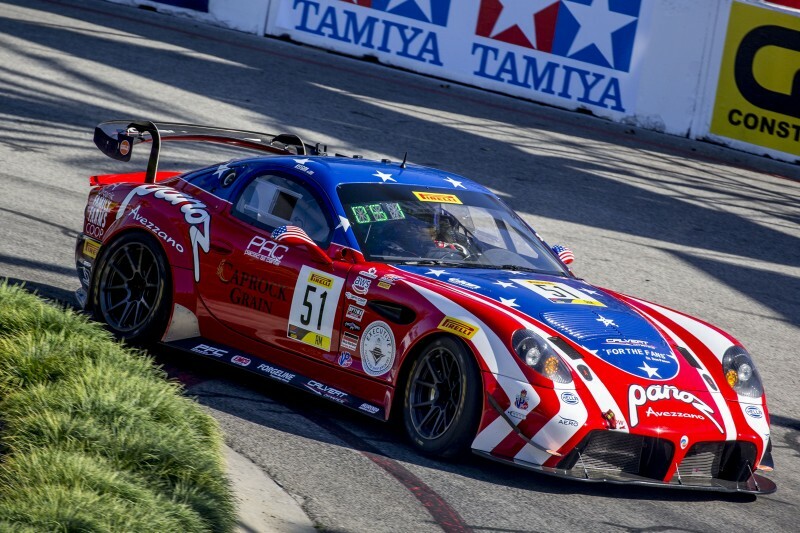 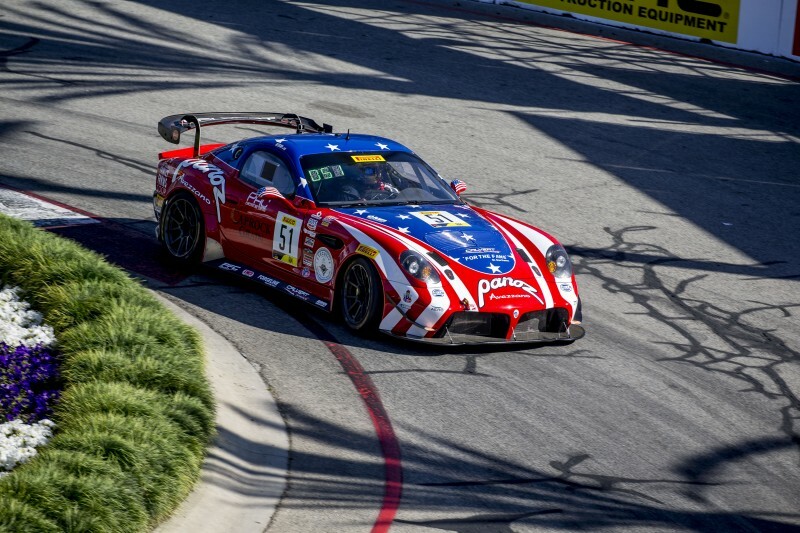 #51 Panoz Avezzano GT4 of Matt Keegan, Streets of Long Beach, Long Beach, CA. 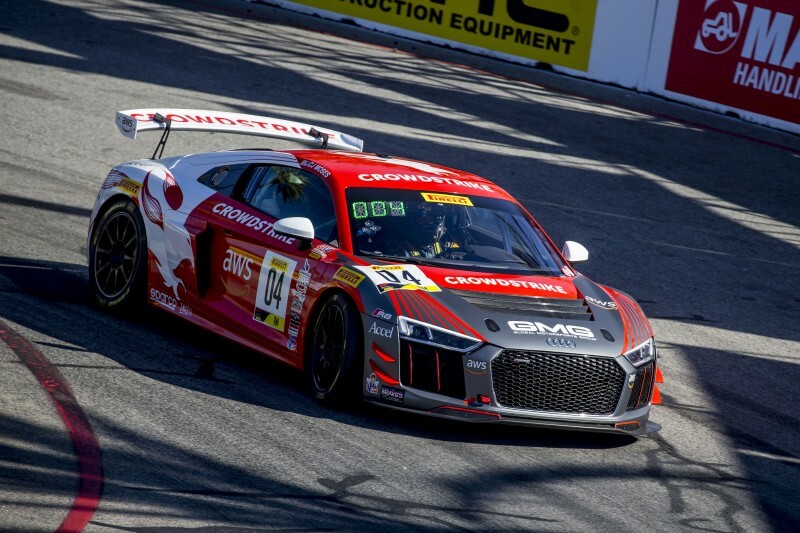 #04 Audi R8 LMS GT4 of C.J. 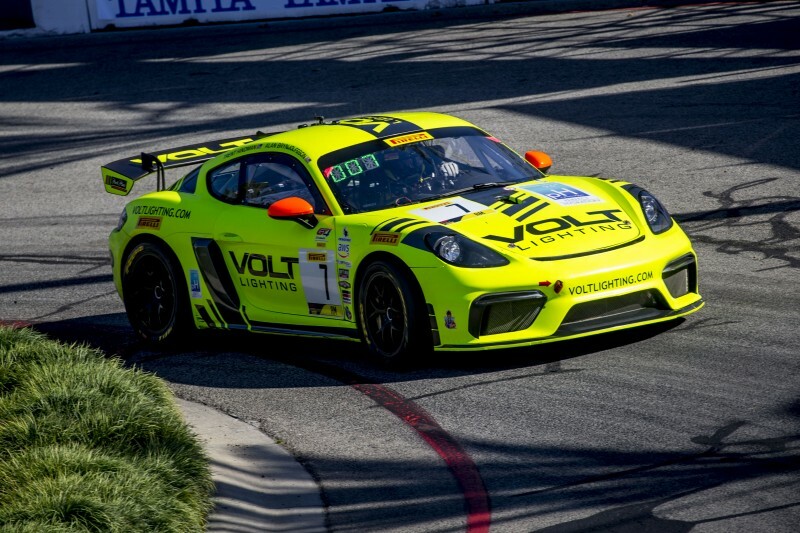 Moses, Streets of Long Beach, Long Beach, CA. 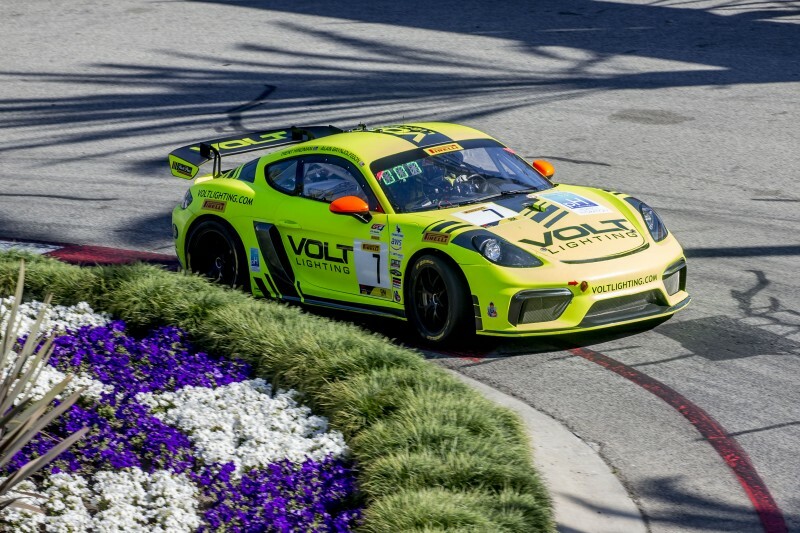 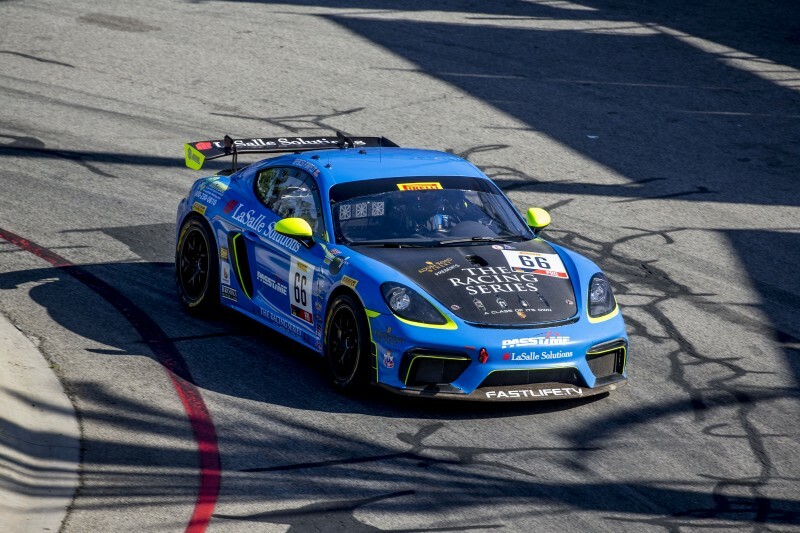 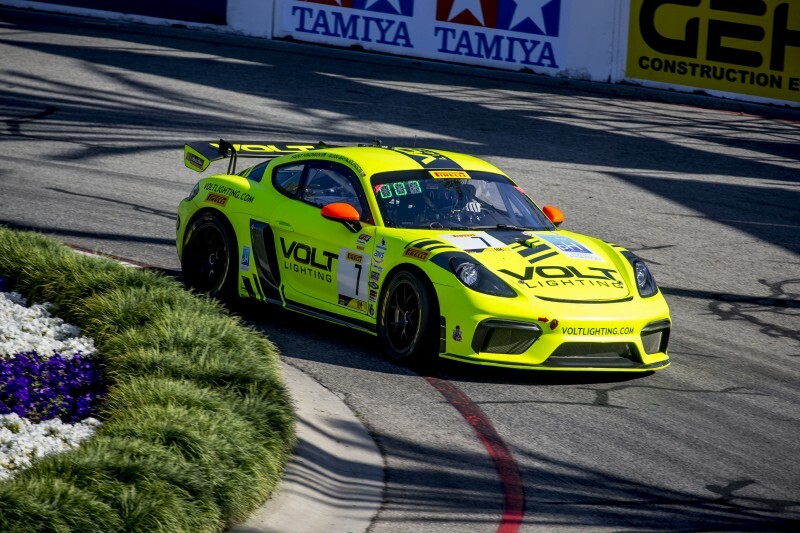 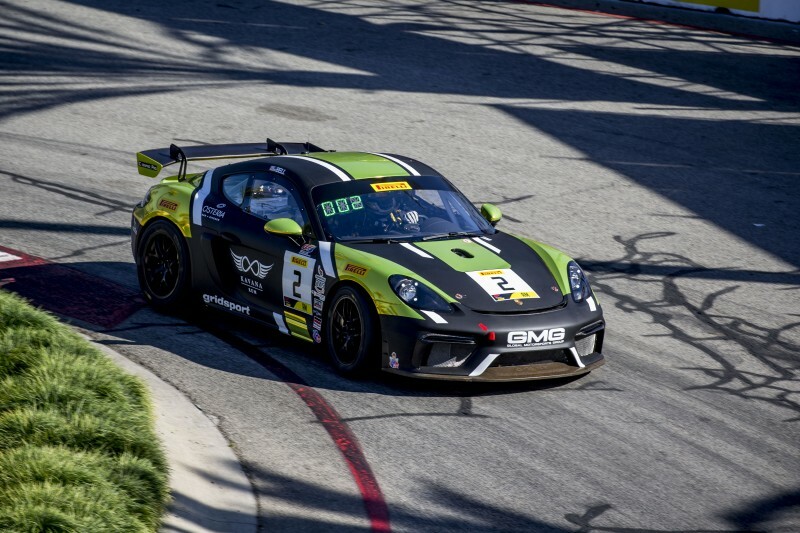 #20 Porsche Cayman GT4 CS MR of Matt Brabham, Streets of Long Beach, Long Beach, CA. 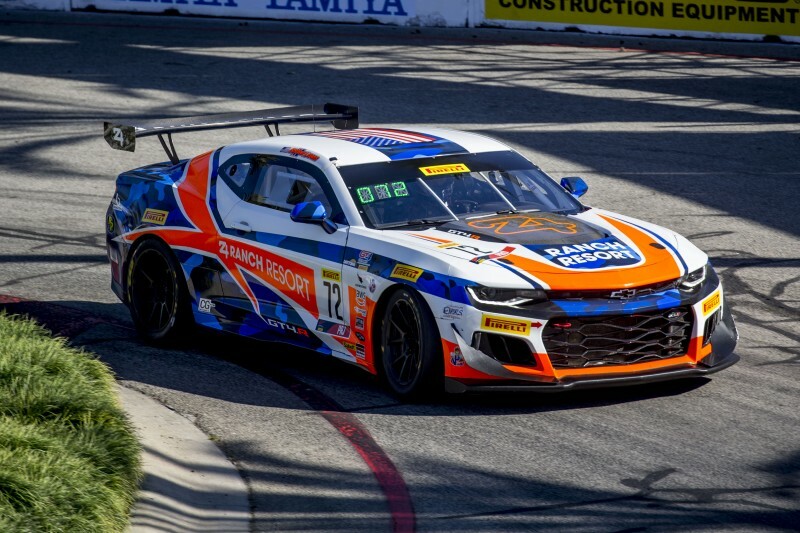 #72 Chevrolet Camaro GT4 of Shane Lewis, Streets of Long Beach, Long Beach, CA. 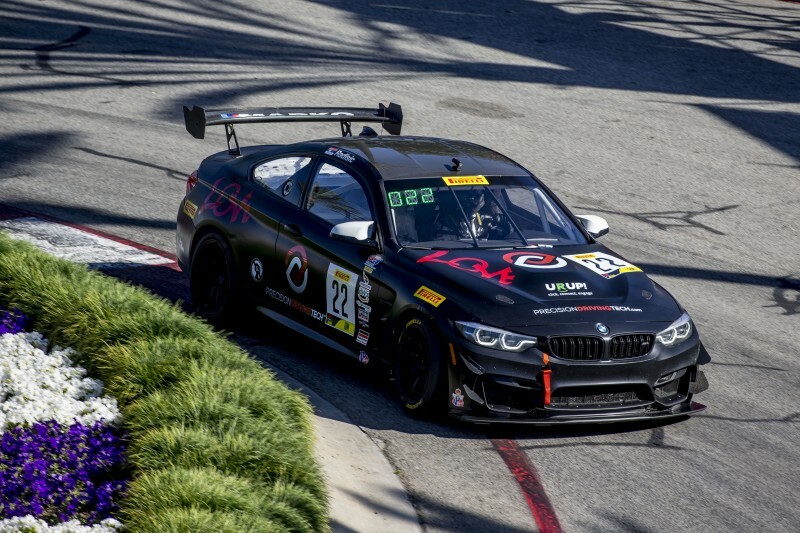 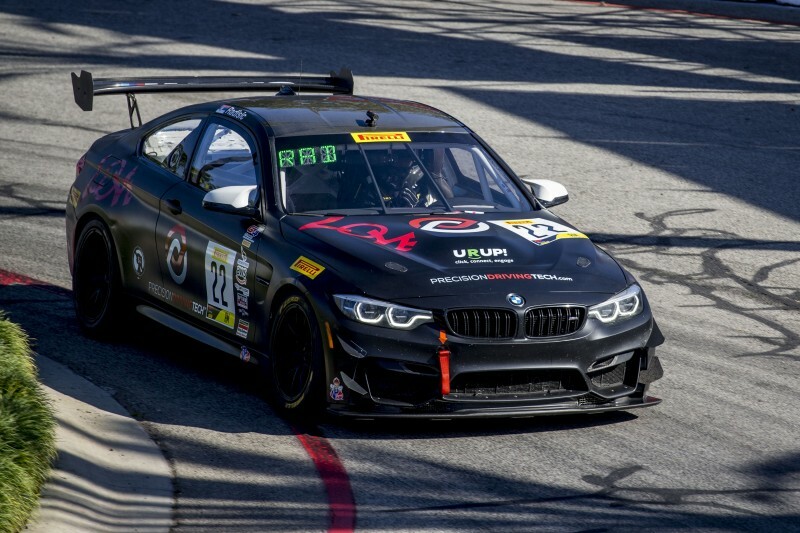 #22 BMW M4 GT4 of Marko Radisic, Streets of Long Beach, Long Beach, CA. 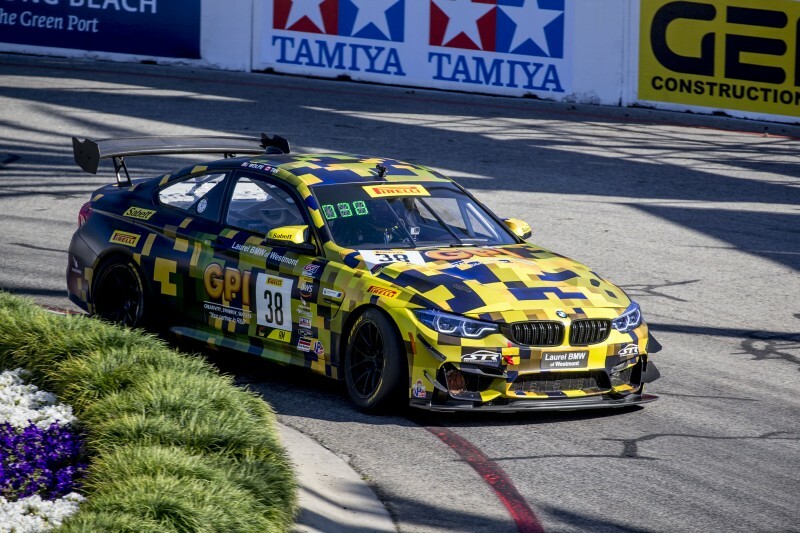 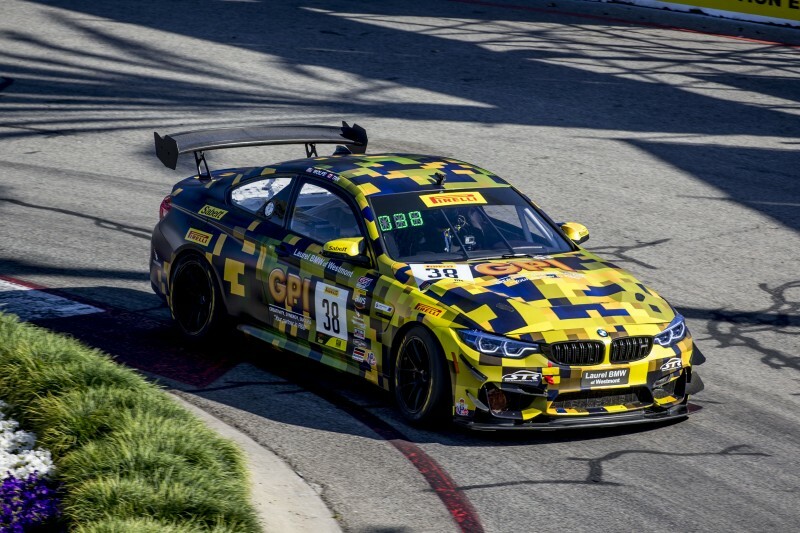 #38 BMW M4 GT4 of Samantha Tan, Streets of Long Beach, Long Beach, CA. 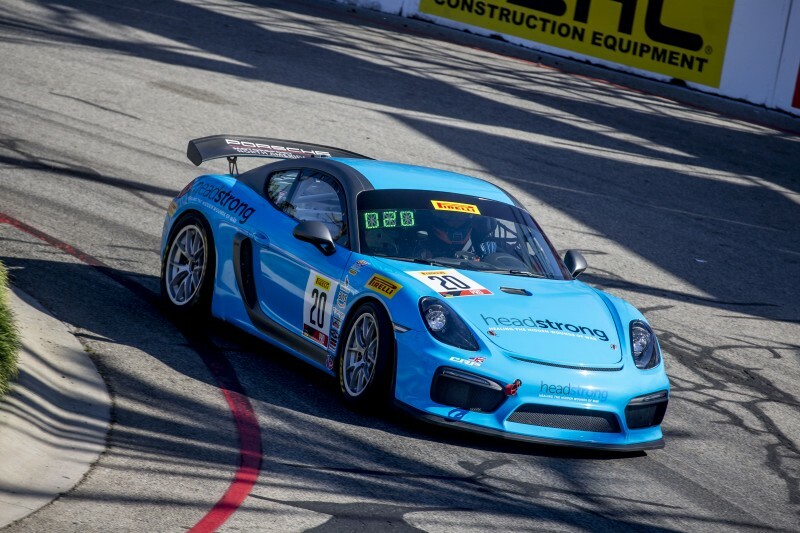 #21 Porsche 718 Cayman GT4 CS MR of Michael DInan, Streets of Long Beach, Long Beach, CA. 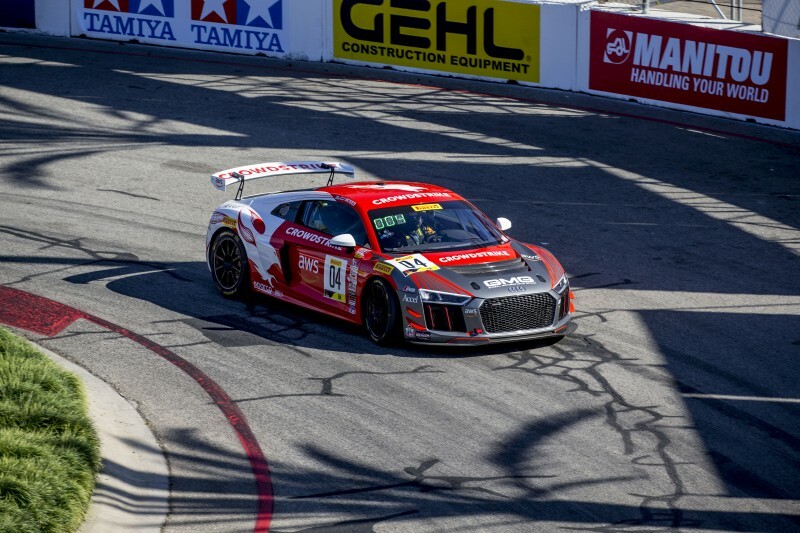 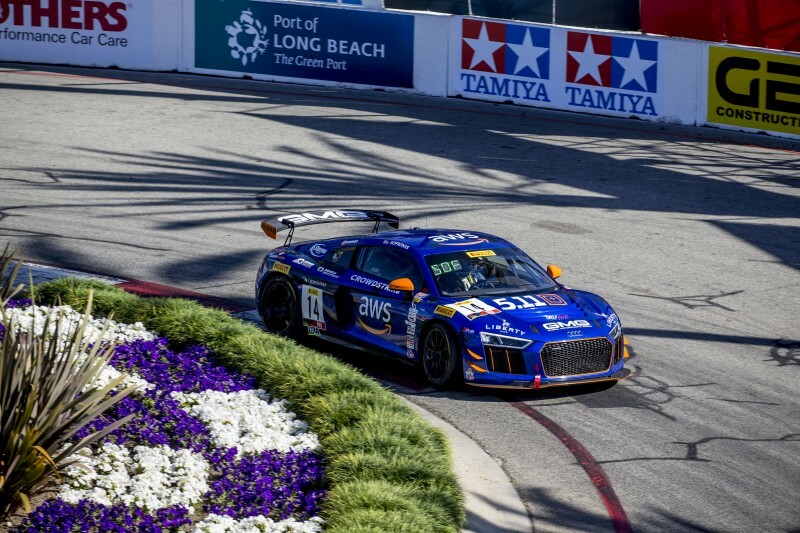 #14 Audi R8 LMS GT4 of James Sofronas, Streets of Long Beach, Long Beach, CA. 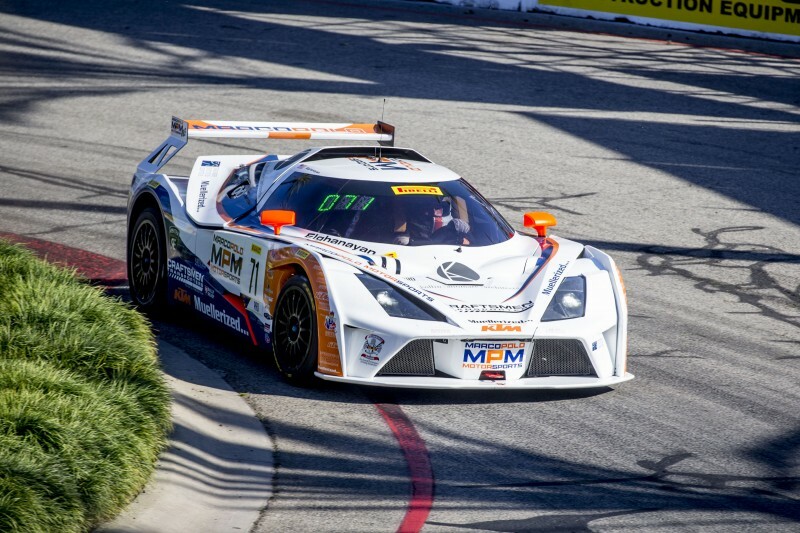 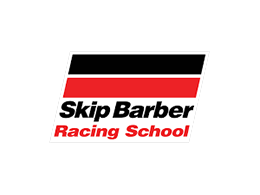 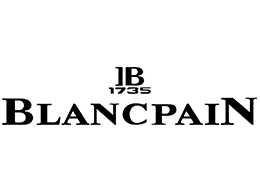 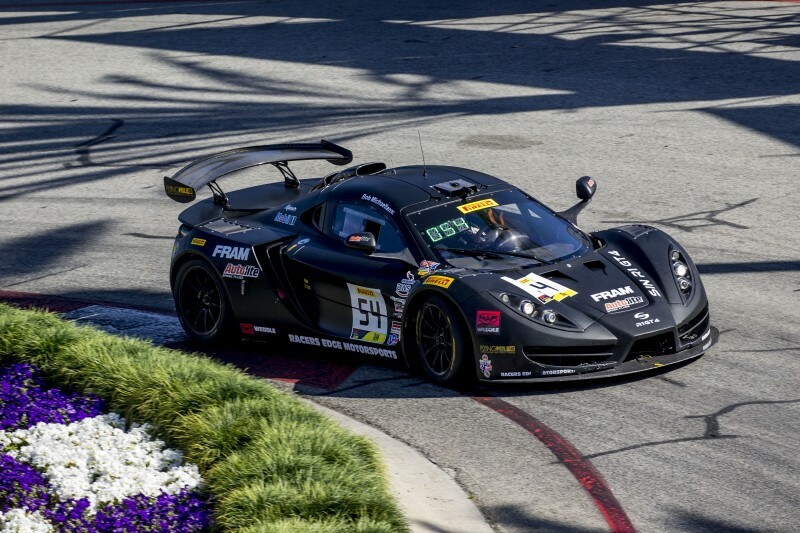 #54 Sin R1 of Bob Michaelian, Streets of Long Beach, Long Beach, CA. 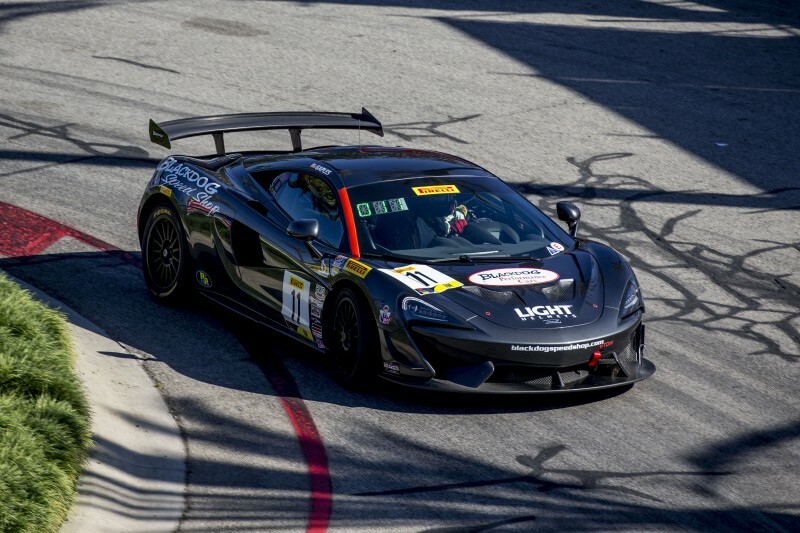 #10 McLaren 570S GT4 of Michael Cooper, Streets of Long Beach, Long Beach, CA. 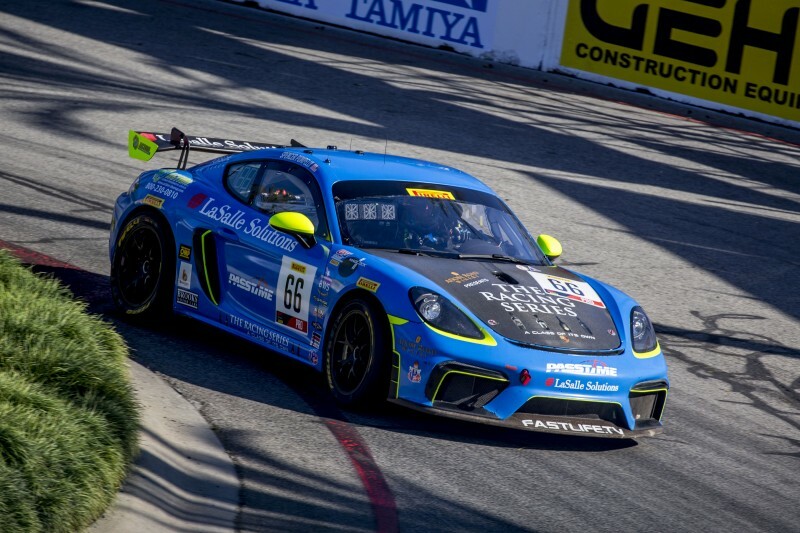 #2 Porsche 718 Cayman GT4 CS MR of Jason Bell, Streets of Long Beach, Long Beach, CA. 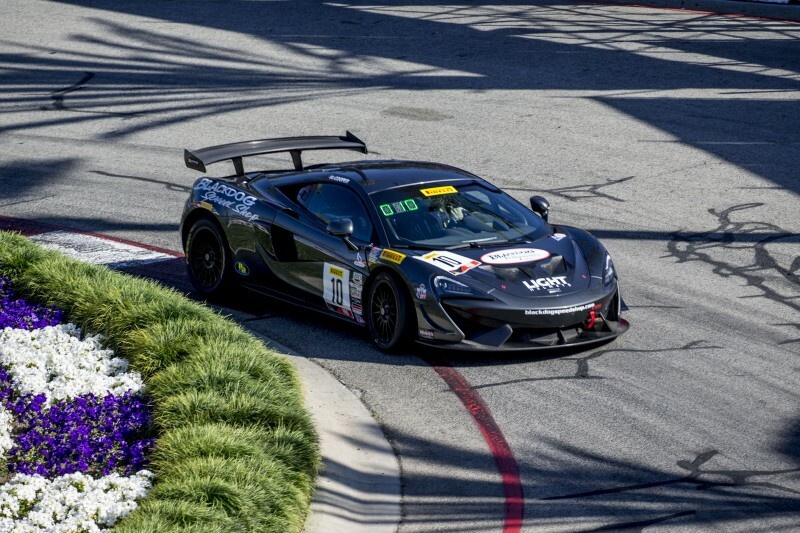 #11 McLaren 570S GT4 of Tony Gaples, Streets of Long Beach, Long Beach, CA.